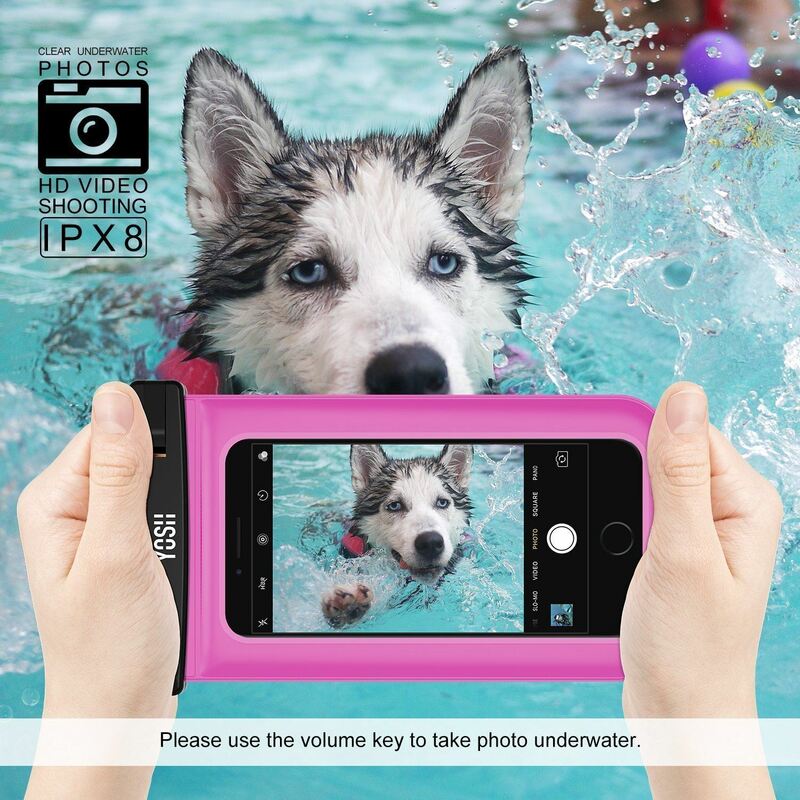 One Case Meets All the Needs The YOSH Waterproof Case Bag fits all devices up to 6 inches diagonal, including iPhone 6, 6s Plus (Not for iPhone 7/7 plus), Galaxy S6, Sony, HTC, LG, Motorola, Nokia, Blackberry etc. The universal size is perfect for cross-device user and the spacious interior allows you to cash, credit cards, and your ID. 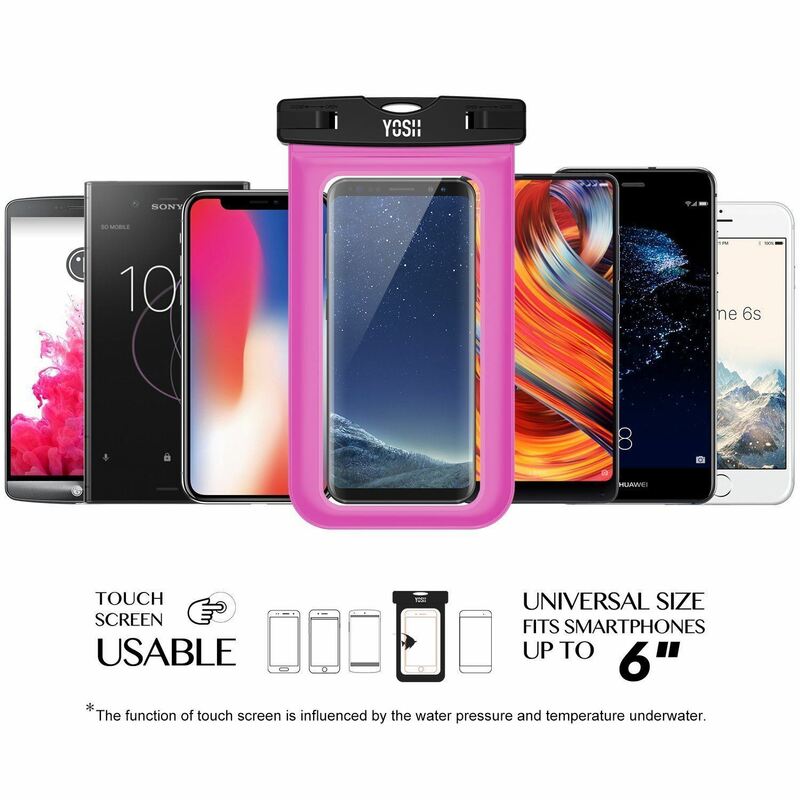 Highly Protects Your Belongings The Waterproof Case allows you to enjoy your active lifestyle without worrying about harming your device as the case bag protects your phone or device from elements such as dirt, dust, sand, and-yes-even water! Each case bag is tested under water for two hours to ensure resilience. Unique Technology The Waterproof Case features a strong rope buckle, a secure swivel lock, and dual-sided clear windows providing security, dependability, and ease of use. 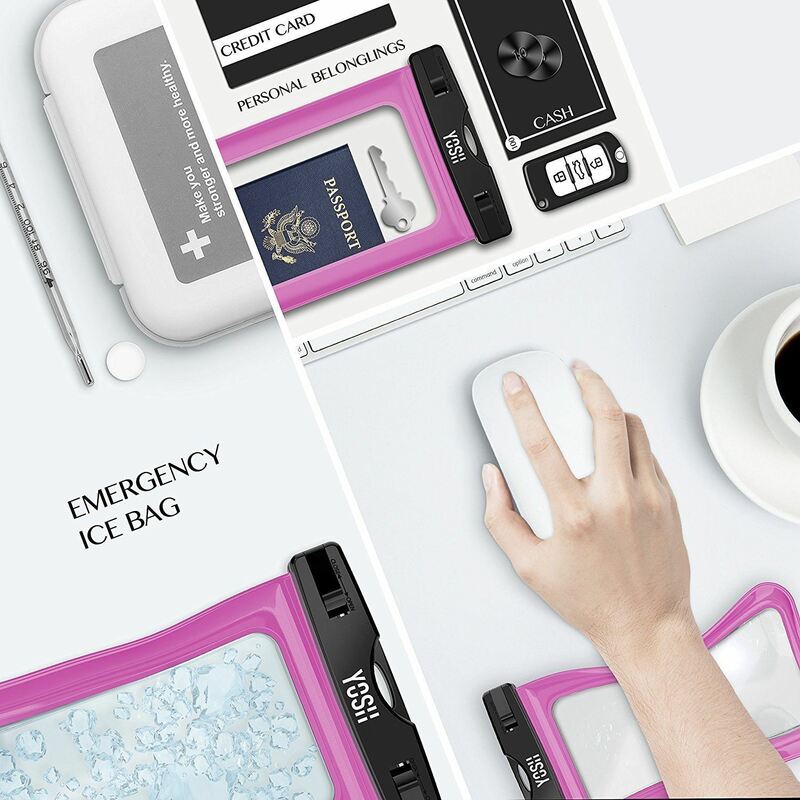 This allows you to snap photos, send texts, or respond to emails without removing your device from the case bag. 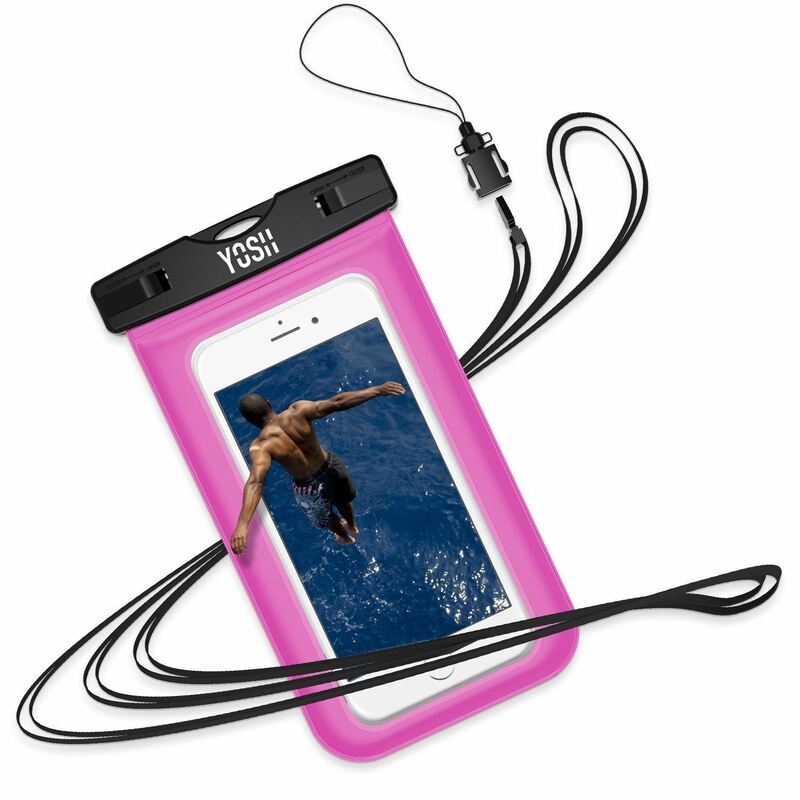 Feel at Ease -The airtight YOSH Waterproof Case does not interfere with your active outdoor lifestyle. 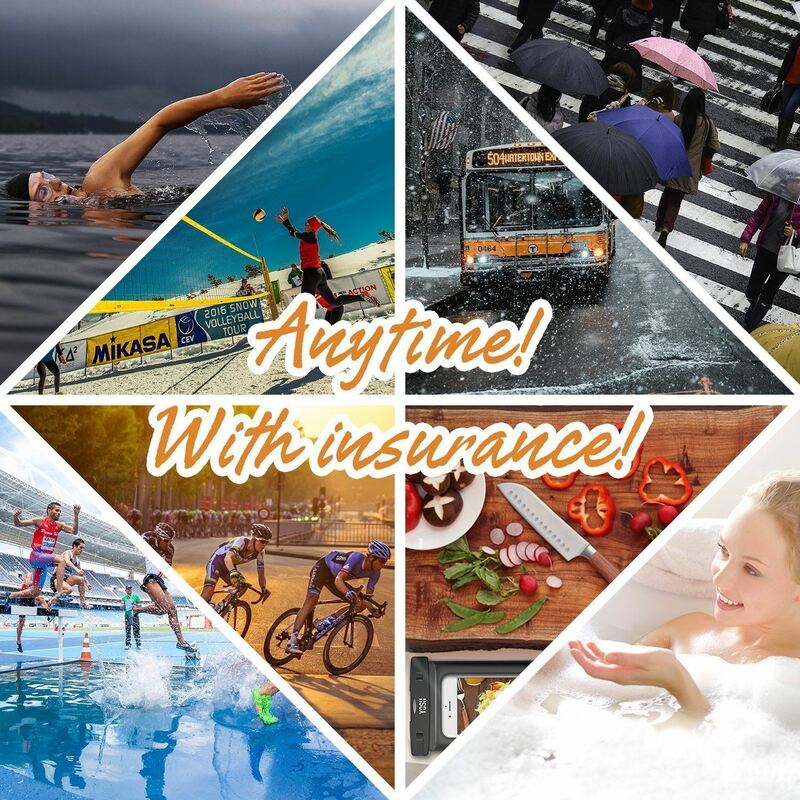 Feel free to fish, swim, boat, hike, camp, or participate in your other favorite outdoor activity without leaving your device behind or worrying about protecting your device. 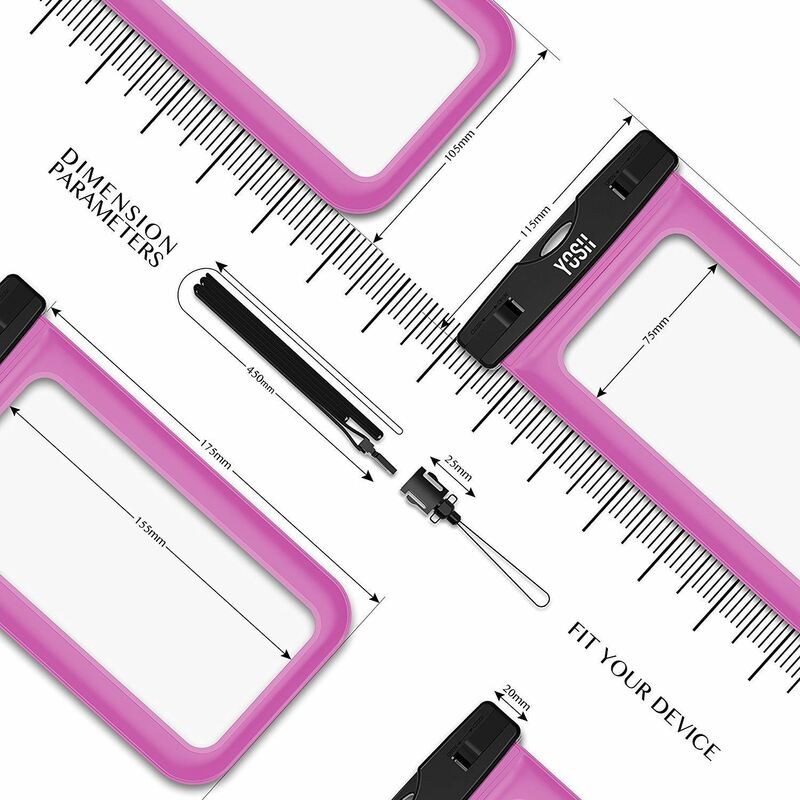 Unconditional Lifetime Protection YOSH are so certain of the quality and performance of the Universal Waterproof Case that we back it up with an unconditional lifetime protection. If you have any issues with the case bag please ask YOSH to resolve. Package Content: Waterproof Case x 1 Lanyard x 1 Instruction Manual x 1 Tips for iphone 7 & 7 plus As fingerprinting and HOME button don't work when using this case, we release the transparent case specially designed for iPhone 7, 7 plus for you. Wide Compatibility: YOSH dry bag is compatible with all most cell phone up to 6 inches, such as iPhone X 6s 6 Plus SE, Samsung Galaxy S9 S8 S7 J3 J7, Moto G6 Huawei P8, Nokia 7, Sony Xperia, Xiaomi, Wileyfox, etc. 21 inches long nylon lanyard frees your hands for perfect underwater photography and videography, recording every wonderful moment.